The ONF and the Telecom Infra Project (TIP) agreed to collaborate on optical transport solutions that increase openness, SDN programmability, and disaggregation. The collaboration combines the ONF's Open Disaggregated Transport Network (ODTN) project and TIP’s­­­ Open Optical & Packet Transport(OOPT) group. Both groups are leveraging open software and hardware, common APIs and community collaboration. The groups said their existing work as highly synergistic, as the ONF (ODTN) has pursued a software-centric approach while TIP (OOPT) has pursued an open hardware agenda. ONF (ODTN) will continue to focus on the control plane with the development of an Open Source SDN controller (ONOS) and standardization of open APIs such as Transport API (TAPI). ONF has also developed the definition of the end-to-end Data Center interconnect (DCI) use-case according to ONF’s service provider needs through its ODTN Reference Design process. In parallel, TIP (OOPT) members have introduced two white box transponder systems, Voyager and Cassini, based on open designs. They have also developed TAI, the Transponder Abstraction Interface, and the GNPy open source optical planning tool. Microsoft announced general availability of its Azure Data Box Edge and the Azure Data Box Gateway for on-premise deployment. Local Compute – Run containerized applications at your location. Use these to interact with your local systems or to pre-process your data before it transfers to Azure. Network Storage Gateway – Automatically transfer data between the local appliance and your Azure Storage account. Data Box Edge caches the hottest data locally and speaks file and object protocols to your on-premises applications. 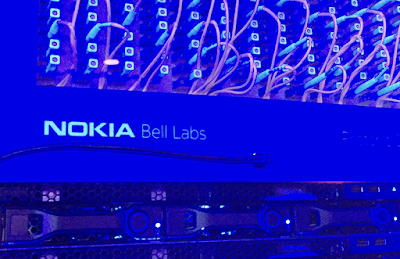 Azure Machine Learning utilizing an Intel Arria 10 FPGA - Use the on-board Field Programmable Gate Array (FPGA) to accelerate inferencing of your data, then transfer it to the cloud to re-train and improve your models. Learn more about the Azure Machine Learning announcement. Cloud managed – Easily order your device and manage these capabilities for your fleet from the cloud using the Azure Portal. Data Box Gateway is also available as a standalone virtual appliance on a pay-as-you-go basis. It can be provisioned it in a hypervisor, using either Hyper-V or VMware, and managed through the Azure Portal. Server message block (SMB) or network file system (NFS) shares will be set up on the local network. Data landing on these shares will automatically upload to your Azure Storage account, supporting Block Blob, Page Blob, or Azure Files. We’ll handle the network retries and optimize network bandwidth for you. Multiple network interfaces mean the appliance can either sit on your local network or in a DMZ, giving your systems access to Azure Storage without having to open network connections to Azure. Data Box Heavy Preview - a bigger version of Data Box that can scale to 1 PB. Liquid Telecom Kenya, part of the leading pan-African telecoms group Liquid Telecom, selected to upgrade their existing fiber network to support OTN/DWDM technology with an initial network capacity of 500G. 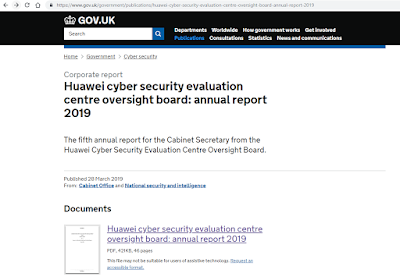 The Huawei Cyber Security Evaluation Centre (HCSEC) Oversight Board published a 46-page report in which it discusses significant technical issues "in Huawei’s engineering processes, leading to new risks in the UK telecommunications networks." The report also states that although Huawei continues to engage in the security review process, "no material progress has been made by Huawei in the remediation of the issues reported last year." 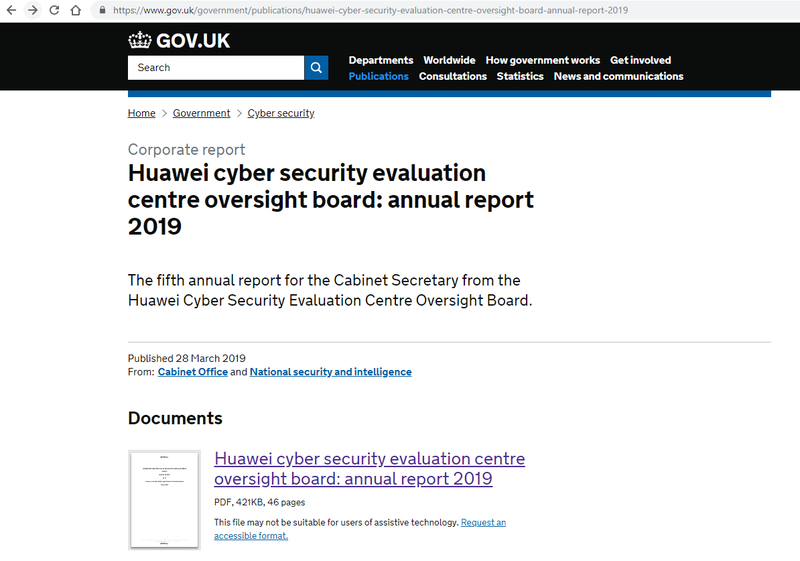 HCSEC, whose mission is to evaluate the security risks posed by using Huawei’s equipment in critical national infrastructure, is a facility in Banbury, Oxfordshire, belonging to Huawei Technologies and administered by the UK’s National Cyber Security Centre. Regarding the software engineering issues with potential impact on network security, the report states that the issue "is with Huawei’s underlying build process which provides no end-to-end integrity, no good configuration management, no lifecycle management of software components across versions, use of deprecated and out of support tool chains (some of which are non-deterministic) and poor hygiene in the build environments." Vendor revenue from sales of IT infrastructure products (server, enterprise storage, and Ethernet switch) for cloud environments, including public and private cloud, grew 28.0% year over year in the fourth quarter of 2018 (4Q18), reaching $16.8 billion, according to a new repor from IDC. IDC reported that annual spending (vendor revenue plus channel mark-up) on public and private cloud IT infrastructure totaled $66.1 billion in 2018, slightly higher (1.3%) than forecast in Q3 2018. IDC also raised its forecast for total spending on cloud IT infrastructure in 2019 to $70.1 billion – up 4.5% from last quarter's forecast – with year-over-year growth of 6.0%. Quarterly spending on public cloud IT infrastructure was down 6.9% in Q418 compared to the previous quarter but it still almost doubled in the past two years reaching $11.9 billion in 4Q18 and growing 33.0% year over year, while spending on private cloud infrastructure grew 19.6% reaching $5.75 billion. Public cloud represented 69.6% of cloud IT infrastructure spending in 2018. Spending on public cloud infrastructure growing at an annual rate of 50.2%. Spending on private cloud grew 24.8% year over year in 2018. The marine survey for the Djibouti Africa Regional Express 1 (DARE1) submarine cable system is complete and the cable route has been finalized. The DARE1 cable system will connect Djibouti (Djibouti), Bosaso (Somalia), Mogadishu (Somalia) and Mombasa (Kenya). The finalized route has a length of 4,747km. The stated design capacity is 36 Tbps. The project is led by Djibouti Telecom and Somtel. Subcom is the contractor. Manufacturing of the undersea cables and repeaters will begin in April 2019 and the system will be ready for commercial traffic in June 2020. “We are excited about the completion of the marine survey and the additional landing point for DARE1. We believe this cable system is crucial for the development of the East African region and we are impressed by SubCom’s level of dedication and professional project management. We look forward to expanding DARE1 into other regions and connecting it with other cables to increase accessibility in Africa and across the globe,” said M Mohamed Assoweh Bouh, Djibouti Telecom Director General. euNetworks Group has acquired 100% of the shares of Onstage Online GmbH (“Onstage”), a fibre network operator headquartered in Vienna, Austria. Onstage, which was founded in 1995 by Robert Dornetshuber, operates a metro network consisting of several rings and running under the pavement and in the sewers in Vienna, Each backbone node is connected to at least two other network nodes, delivering true route diversity. 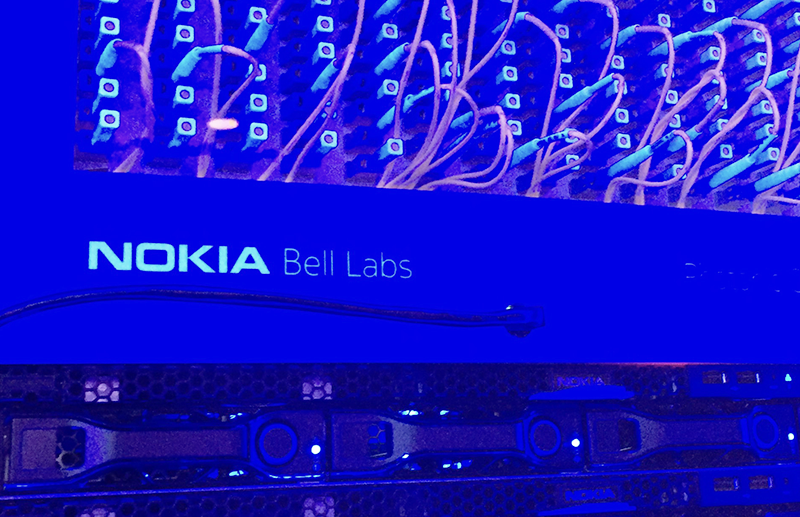 The network directly connects to 16 data centres in the city. euNetworks owns and operates deep fibre networks in 14 cities across Europe and also operates a highly differentiated long haul network that spans the region. Aquantia has achieved ASIL B certification on its Automotive connectivity products according to ISO 26262-5 and as determined by the Certification Body for Functional Safety of the SGS-TÜV Saar. ASIL B compliance is a critical requirement for automotive OEMs, and their Tier 1 suppliers, when choosing technology partners to ensure a vehicle’s systems meet the necessary safety levels. Automotive Safety Integrity Level (ASIL), specified under ISO 26262, is a risk classification hierarchy for defining safety requirements.